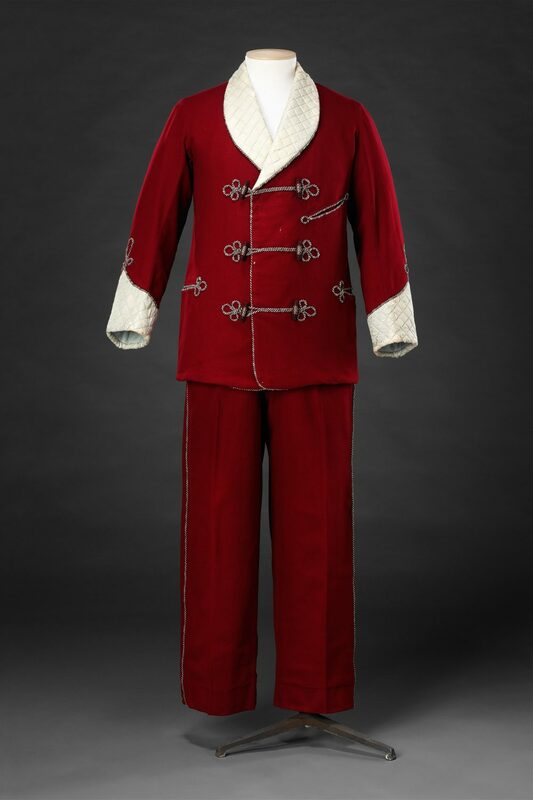 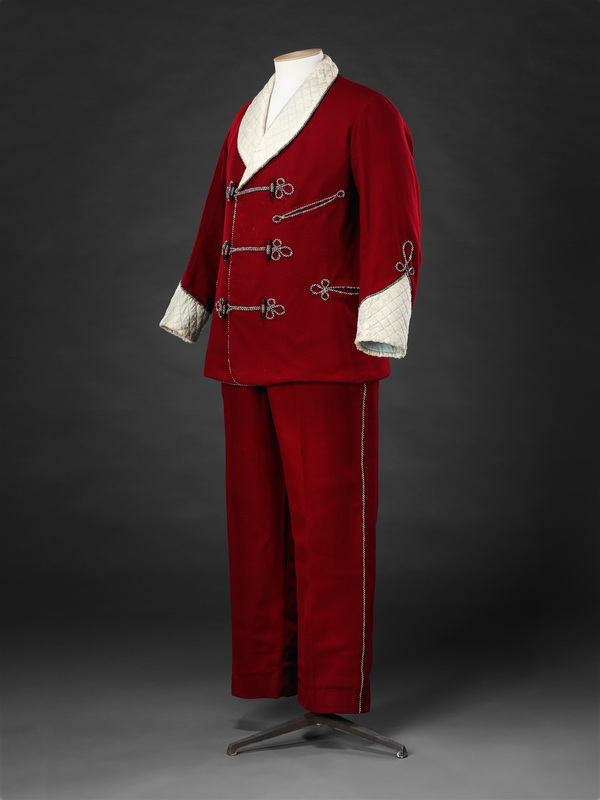 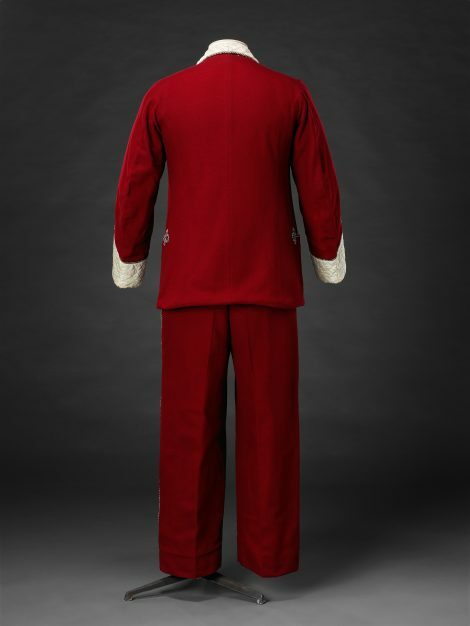 So-called as they were worn by men whilst smoking after dinner, the smoking suit and the jacket in ‘Related items’ had a more general function as informal evening wear in which to relax at home. 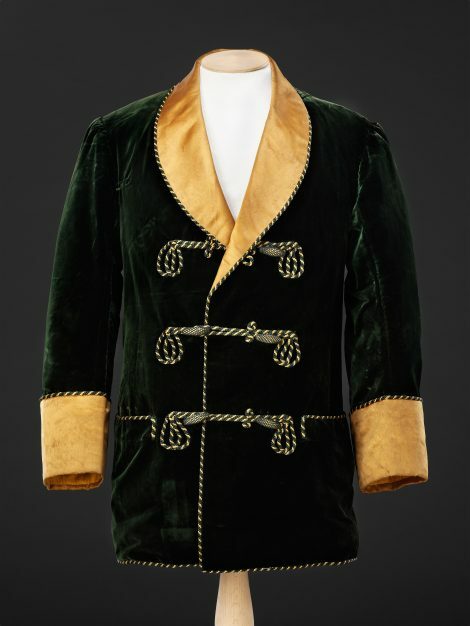 They were usually made of wool or velvet in colours that were more adventurous than those of contemporary day wear, such as red, blue and green, with contrasting, often quilted, lapels and cuffs, and cord trimming. 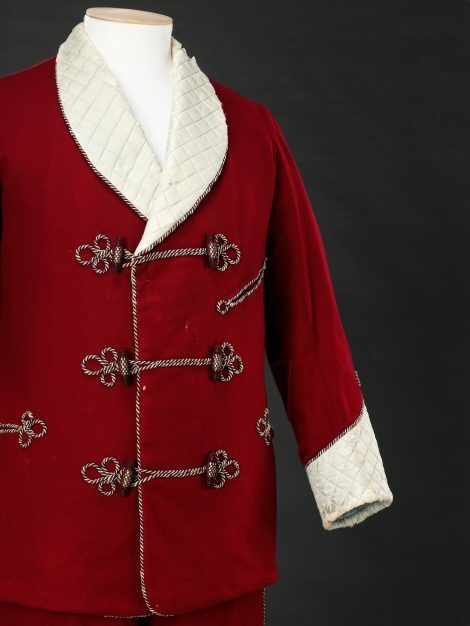 The frogged fastenings gave a slightly exotic feeling to these garments, as did the decorated tasselled smoking caps that were frequently worn with them.